Dub music has had a long and storied history, one that spans several decades, cultures and continents. From recording studios in Kingston, Jamaica in the 1960s to warehouse parties in London, England in the 1990s, the dub sound – with it’s emphasis on heavy, sinuous sub-bass, hazy rhythms and cavernous reverb – has found fans around the globe, and had an enormous influence on the development of electronic music – hell, on the development of modern music in general. It should come as no surprise, then, that even in the distant reaches of eastern Asia, among the mountains and skyscrapers of South Korea, dub has its acolytes. One such acolyte is Christopher Wing, aka mcthfg, originally hailing from the USA but now based in the southern coastal city of Changwon. 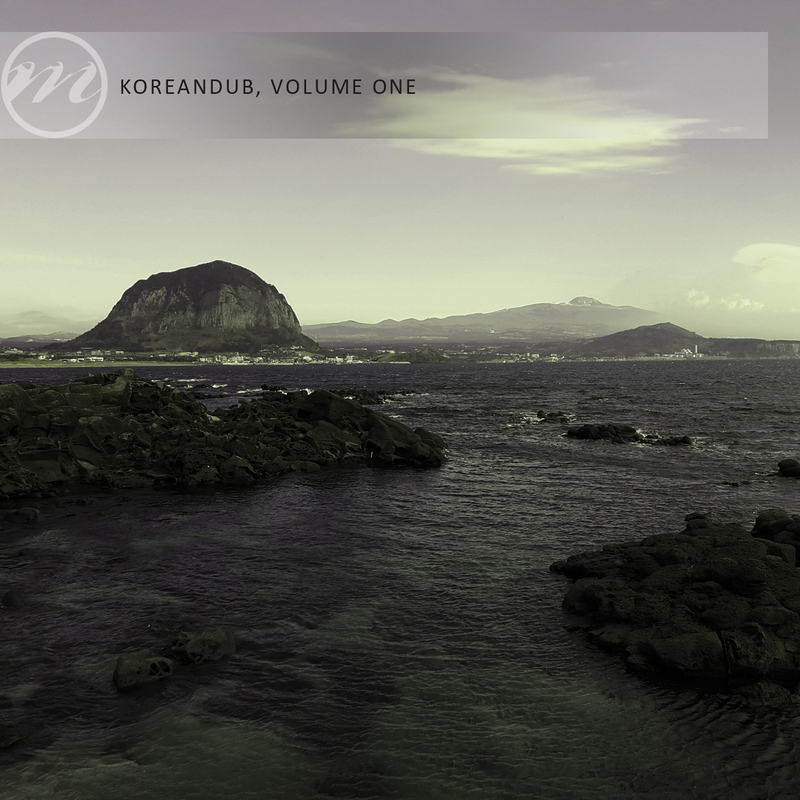 On Korean Dub: Volume One, mcthfg provides three dub remixes of tracks by South Korean producers. It’s a brief but tantalizing glimpse into the curious niche of dub music on the Korean peninsula. The opening track, a remix of “November, March” by Kuang Program, centers around decayed steel drum chords playing over shuddering waves of sub-bass, to the accompaniment of percussion that sounds like it was sampled in a third world junkyard. A kaleidoscopic array of intricate digital sounds completes the track and gives it a trippy, psychedelic feel. It’s followed by a “Brkn Replacment Dub” of mdbrkn’s “Shutted”, which provides listeners with a slightly more innovative take on the standard dub formula. Bitcrushed Nintendo-like squelches form the backbone of the piece, while the other sounds that duck and dive in and out of the mix could just as easily be processed field recordings as they could be digitally sculpted waveforms; the track blurs the line between the worlds of natural and computer-generated sound. The collection finishes off with “Spiritual (Floating Alone in the World Dub)”,a remix of a track by psychedelic electronica duo Tengger. It’s a suitable title; eerie vocal samples and raga chords give it a New Age ambience, though around midway through the track mcthfg picks up the pace a little, throwing in chiptune synth blasts, Morse code bleeps and a long extended breakdown that’s eventually swallowed by a rumbling two-step bass rhythm. All three tracks are special in their own way; mcthfg clearly has some serious chops as a remixer. For anyone interested in dub music or in electronic music from the Korean peninsula, Korean Dub Volume 1 is a must-listen. Korean Dub: Volume 1 is available for purchase at Dubmission‘s Bandcamp .